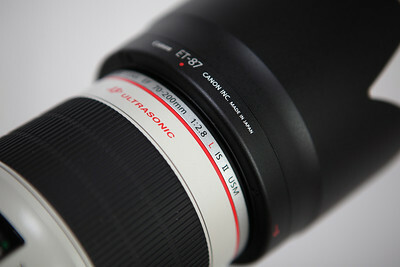 As expected, Canon introduces another "L" lens that does not disappoint even the most critical of camera gear junkies. The Canon EF 70-200mm f/2.8L IS II USM arrived at North Tampa Photography and with a quick wipe of my drooling face I acquired my next piece of camera gear to evaluate on my PhotoBlog. 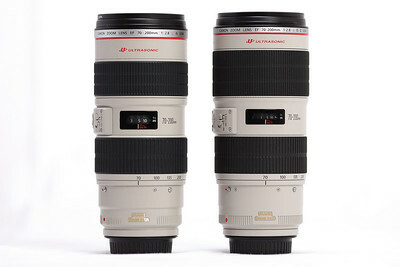 You probably noticed in the picture above I placed Canon's original workhorse EF 70-200 f/2.8L IS USM version I next to the revised version II to physically see the difference in these lens monsters. Let us review the obvious differences quickly. It is more expensive. Not just a little bit, but almost 30 percent of the price of version I. A quick Google Search of prices online yielded $2499 for version II and around $1799 for version I. The difference is not double but it is a significant amount of coin to spend on something else. The noticeable physical changes are minimal but easily seen to my critical eye. The rubber focus ring is wider for a better grip. The extra fluorite element makes the fore end of the lens barrel slightly wider but does not increase the filter size of 77mm. This of course makes it about 2 ounces heavier and reduces the overall length by mere centimeters. These small variances are overshadowed by the sheer size of this glass. I have used version I extensively and a couple ounces and centimeters will not matter. Bulky is still bulky, but I sacrifice my shoulder for optical excellence. The Lens Hood ET-87 is a welcome change. The days of the finger print prone Lens Hood ET-86 of version I are history. The Lens Hood ET-87 has a better shape and a quicker push button release mechanism for a smooth mount and dismount. 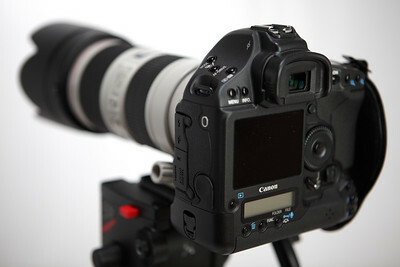 The Canon EF 70-200mm f/2.8L IS II USM in the picture above is mounted on a Canon EOS 1D Mark IV. I used this camera for the duration of this lens review. 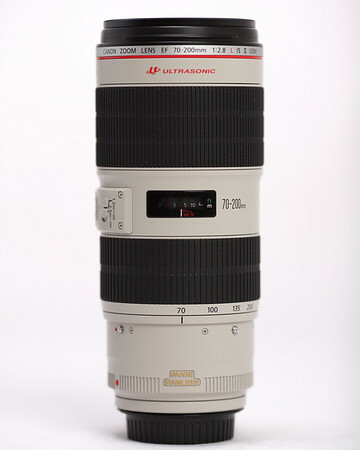 Before I get into the meat of my lens review, I want to give a brief background history of the Canon EF 70-200 f/2.8L IS USM version I. Canon's lens workhorse was introduced in parallel in 2001 with the 4 megapixel Canon EOS 1D. The original 1D combined the professional film body with digital capabilities. It also introduced the APS-H 1.3 crop factor sensor to the photographic digital world. 9 years is a long production life for a lens. Technology over those years has exponentially increased megapixels, sensor size and overall image quality. Digital image quality have surpassed conventional 35mm film. The version I of this lens was engineered and targeted for the APS-H sensor and not intended for the unforeseen high resolution full frame digital cameras of today. Canon is slowly on a lens revision campaign for its emerging resolution demanding hardware. So the ultimate question remains unanswered. Does the version II live up to its price and improvements compared to the venerable version I? It seems version I has satisfied the professional photographic community for over 9 years and I have a permanent place for it in my collection. Too be honest, I was very skeptical when a lens of this stature prompted replacement. How can they improve on the best and for that price point? Let me give examples of the version I at work. Great color, contrast and optically sound. What else could you ask for? I used version I at my nephew's ranch farm birthday party and with amazing results. I prefer portraits with a combination of ambient and back lighting. 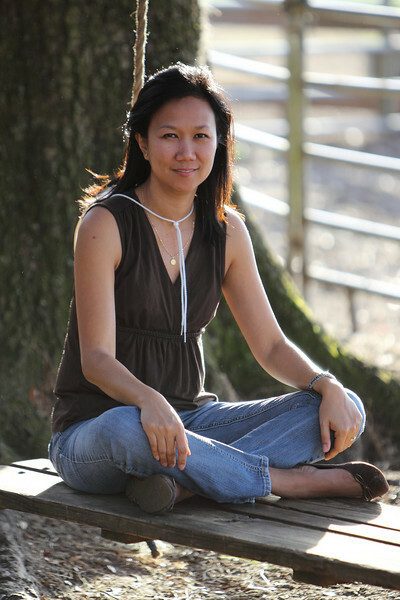 It gives my subjects separation from the background as well as a good hair light. You can view more examples of version I and you can view original files for all the pixel peepers out there in this Gallery. Focus characteristics of version I does not let me down. As a born again youth sports photographer with my kids, AI Servo tracking is critical to get the shot. The picture above was located a local park with a water playground. I had my kids run towards me in the water spray to freeze their expression and sprinting action. You can view all the water park pictures in this gallery. 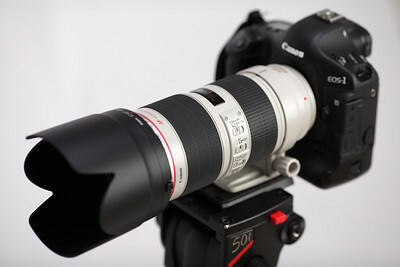 Now for examples of the Canon EF 70-200mm f/2.8L IS II (version II). Believe me, you are not going to be upset or disappointed with the results and you are not going to blown away with amazement either. 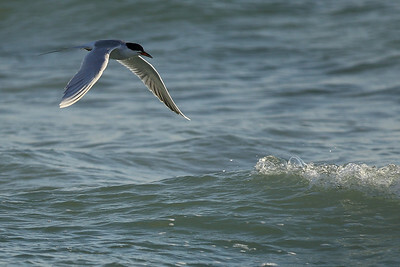 I put version II through my normal paces this weekend to justify the improved lens claims and extra expense. I turned the AI Servo on to see the new and improved focusing algorithm by Canon in version II. As you can see in the challenging bird tracking image above, the algorithm worked well. I am not Rob Galbraith. I do not have Olympic hopefuls as my test subjects shot with massive white L lenses. I just have my kids. 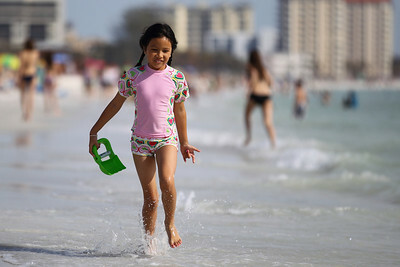 You can view more Lido Beach images in this Gallery. Again, the focus did not fail as expected. Impressive but not astonished. So for 30% more money, does one receive 30% improvement of version II over version I? Yes, you get substantial improvement such as better optical resolution catered to full frame sensors with the addition of more elements, better focusing algorithm for faster Mark IV cameras and a couple of centimeters of shorter focusing distance for versatility. A big NO on value for the money, especially if you have already a version I workhorse in your camera bag. That 30% is a big difference in my opinion. For current version I owners, the monetary disparity over the version II improvements is a personal decision. Canon made a great lens greater in my lens evaluation. 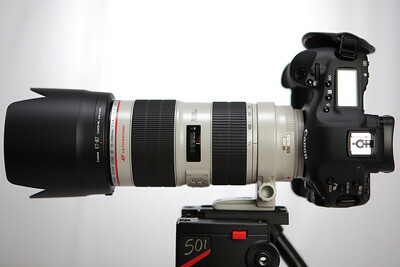 My PhotoBlog would not be complete with a HD DSLR video to finish off my lens review of the Canon EF 70-200mm f/2.8L IS II. 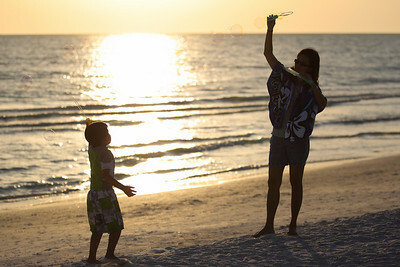 I used version II in the production of this Beach Days Are Back Again HD video shot on location in Lido Beach, FL. Thanks for the nice review. I heard about the lens and I appreciate the down to earth review. your comments are appreciated. Guess I have to start saving. Spring Jubilee Has Sprung ! Cheetahs Win First Soccer Game of Season! Beach Days Are Back Again!